YoYoExpert Blog & Yo-Yo News – Top Yo Colossus 3 back in new colors! 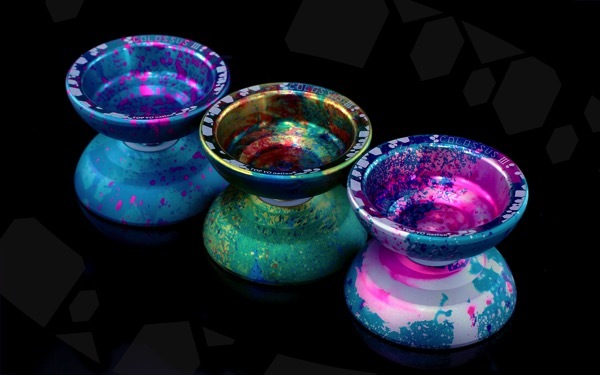 Top Yo Colossus 3 back in new colors! The step-round profile on the Colossus 3 offers a comfortable feel in the hand and a great balance of stability and spin time in play. The full sized frame gives this yo-yo a powerful feel and holds spin through any combo. It moves fast, maneuvers easily, and the slightly narrower gap provides a tight bind even at slow RPMs. The Colossus 3 may be considered a “budget” model, but Top Yo didn’t hold anything back! They used a new alloy for this yo-yo, 7003 aluminum, which sits right between the popular 6061 & 7075 options in terms of strength and durability. They also blasted the catch zone for better grinds and anodized these yo-yos in some really fantastic colors!